An abbreviated version of this appears at the Huffington Post. The volume of commentary about Michael Eric Dyson’s attack on Cornel West could fill a stadium or two by now, so forgive me for adding to the heap. But many of the criticisms of Dyson’s essay have missed the mark, which has allowed Dyson to claim victory. That should not be permitted. Bad criticism (2): The essay was “personal.” I don’t even know what personal means here, because the personal/political/public are all jumbled up here. If I criticize my former adviser publicly because of his personal choices of his public political activities, and his personal nastiness about my public political persona, am I being personal or political? I haven’t a clue. I don’t know what’s personal and what’s not, but this criticism allows Dyson to say “Ah, my critics just fling the word ‘personal’ at me without responding to the substance!” I agree, let’s stick to the substance. However let’s also remember that personality is inevitably intertwined with this debate, since for public intellectuals those lines are so blurry. I say that because I think one minor thing to note (and I don’t know whether this is personal or public) is that it’s hilarious for Michael Eric Dyson of all people to be the one calling Cornel West a frivolous celebrity pseudo-scholar. Glass houses, M.D.! I really can’t imagine a person less well-positioned to make that criticism. Dyson has the audacity to go after West for producing lightweight books instead of serious scholarship, but my God, when was the last time Dyson put out anything remotely scholarly? This criticism is laughable coming from the man who literally bundled a collection of transcripts of his MSNBC interviews between hard covers and released it as a book. Dyson goes after West for reducing his output and writing with co-authors, when Dyson’s most recent book came out five years ago and was a co-authored book about Nas! Dyson says West spends too much time hanging out with celebrities, yet spends his own time with Nas! Some scholarly distance from his subject Dyson maintains. (Oh, and here he is giddy at meeting Jay-Z. 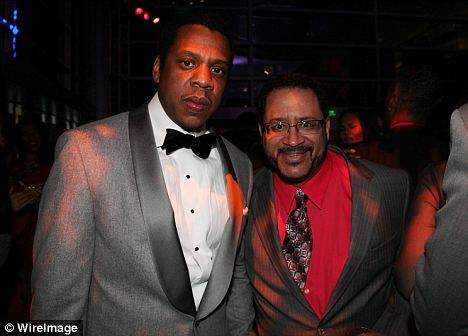 And in case you think that’s a one-off, here he is again giddy at meeting Jay-Z, about whom he created a course. Oh, and one more time, this one with Lebron James as well! Sorry, what was that about Cornel West’s celebrity obession?) He criticizes West for egotism and for releasing books of his own quotes, when he released Can You Hear Me Now? : The Inspiration, Wisdom, and Insight of Michael Eric Dyson, which features no less than FOUR photographs of himself on the cover! Michael Eric Dyson is the epitome of vacuous egotistical pop-scholarship, the absolute apogee of the media-hungry pundit-professor, and dares to chastize Cornel West for the same tendencies! Now look, giving someone the ol’ tu quoque doesn’t do anything to their argument, I know. But it does show them to be making it dishonestly. Dyson can’t possibly actually have a problem with professors who favor the media spotlight over their scholarly endeavors, since no academic in America eats up more television time than Michael Eric Dyson! Perhaps Michael Eric Dyson really does believe academics should devote themselves to their research, and perhaps he’s right that Cornel West doesn’t, but he has a bit of self-examination to do before he should go about deploying that particular line of criticism. Alright, so the charges of massive glaring hypocrisy are pretty well-substantiated. But what of the case against West? As I can see, there are a few points. First, that West’s scholarship has diminished and he has absorbed himself in vain side-projects. Second, that West has a personal grievance against President Obama, whom he felt spurned by, and that this has caused West to issue unwarranted hateful invective against the President. Third, that West arrogantly calls himself a prophet and positions himself as an outsider, ignorant of the fact that prophets can come in many forms. Fourth, that West himself had an Obama-esque pragmatism for a long time (and even a “conservatism”), further reinforcing the idea that his hatred is personal. There are other peripheral points as well. It’s 9,000 words, after all. That defense may sound like an excuse. But here’s an important thing about Cornel West: the man is serious about his activism. What Dyson ignores, but what many people who have worked with West know, is that West is consistently willing to help people on the ground. He was here just last week, lending support to the students pushing Harvard to divest from fossil fuels. Now you can say “Oh, well, that’s just attention-seeking again, there he goes showing up to be seen at protests.” But really, is a student divestment protest a place one goes to get the spotlight? West goes to these things because he knows his presence can give them a boost, both in energy and in attention. It was directly because of West’s presence that the protest got some coverage. West is willing to put himself on the line and be arrested, and I’ve heard plenty of reports of his willingness to donate his presence where people think it will help them strategically. Can’t remember ever seeing Michael Eric Dyson at a protest, but West is showing up to them constantly. It’s funny about Cornel West being called vain. I think he is, but he’s also a complicated character. I read a profile of him once in which he just sounded lonely; he apparently doesn’t have too many friends, and lives mostly in his head. He also has a tendency to let other people around him convince him to do unwise things. I have a feeling that his role in many of the awful books released under his name was a passive one; not that West especially desired to have a ghost-writer put out his terrible autobiography, but that he was fine to let it happen when a publisher offered a contract. That doesn’t exonerate West, of course. He is a flawed man. He should take control, write some good books, put out a real memoir instead of some ghostwritten string of anecdotes about celebrities he met. He shouldn’t do cameos in sitcoms (though I wonder how many could manage a principled defiance of an opportunity to appear on 30 Rock). He clearly has a weakness. But that’s really the most damning part of the case against Cornel West. That’s the only criticism that lands. And it really doesn’t add up to much, certainly not the conclusion Dyson reaches about West essentially having destroyed himself and become a ghost. And even parts of this most successful criticism don’t really make sense. Why, if West enjoys celebrity so much, would he be willing to say such vicious things about people in the mainstream that he marginalizes himself and limits his access to the spotlight? In order to overcome this contradiction, Dyson comes up with some kind of weird theory that West wants to be a peripheral prophet, both self-adulating and totally ignored. It makes no sense. Okay, criticism number two. Cornel West’s statements about Obama come from personal animus. In particular, West has long been pissed that he couldn’t get a ticket to the inauguration. Thus he has jeopardized his standing among mainstream intellectuals out of sheer personal hatred stemming from the snub. Dyson retells the old story in which West and his mom show up to a D.C. hotel, only for his bellhop to have an inauguration ticket while West doesn’t. Dyson sees this as an elitist hypocrisy: “the left-wing critic found it unjust that the workingman and not the professor had a ticket to the inauguration.” I see it completely differently, as a story about a guy being embarrassed in front of his mother. It is his mother, in the story, who clucks at West over his failure. I think that moment must have hurt, not because West resented the bellhop, but because he had wanted to impress his mom. Anyway, is the theory correct that this snub has resulted in West hatefully denouncing Obama forever? There’s actually no way to tell. Really. We can never know. Just as we can’t know whether Dyson’s denunciation of West is principled or personal (though it’s probably not principled, due to the above-noted hypocrisy), we can’t look inside Cornel West’s unique mind to see whether, if the President had been nicer to him, he would have gone easier on him. So really we have to do the other thing: evaluate the substance of West’s comments, rather than their supposed motivations. So what are the comments? Well, West called Obama a “global George Zimmerman.” Dyson thinks this is insane, a mark of hatred rather than reason. I think the fact that Dyson believes that is exemplary of the tendency of the D.C. political class to dismiss anything stated strongly as “unserious” and irrational, without any inquiry as to whether or not it’s true. Consider: If West believes that Obama’s drones are killing children of color across the globe (and they are), and West believes that Obama has control over this, but is intentionally allowing it to happen (and as the commander-in-chief, he is), then how can West even escape the conclusion that Obama is a “global George Zimmerman”? If to be a George Zimmerman is to negligently kill a child of color, because of insufficient regard for their life and the cavalier use of weapons, then in what way is this an overstatement? Now look, you may disagree with that statement. You may think there are all sorts of reasons why it’s inevitable or acceptable for those children to be killed by those drones. We could have that discussion. But the point is that while it may sound ludicrous, West’s comment really is a perfectly reasonable one. It’s designed to make a powerful rhetorical point, and it does. Dyson says that it diminishes the force of West’s argument. I don’t think so. I think showing the comparison between what Zimmerman did and drone warfare powerfully puts the administration’s apologists on the defensive. They have to explain what the difference is between Zimmerman’s gun and a drone, and making that case is harder than you might think. Glenn Greenwald has long noted the tendency of mainstream political elites to dismiss anyone who states forceful criticism of the mainstream consensus to be branded “unserious,” and that’s precisely what Dyson does to West. Instead of actually having the argument about how we can mourn Trayvon but not a Yemini toddler, Dyson just dismisses the comparison as so laughable as to not need dealing with. This is consistent with his entire approach, which as others have noted, is to completely avoid all of West’s substantive critcisms of the administration and focus on the epithets West uses to make those criticisms. Dyson doesn’t actually show that West is wrong in applying those epithets, he merely asserts that their very usage discredits West. In this way, the norm of “civility” is used to blunt the force of dissent. Dyson thinks it’s absolutely outrageous that West would call Obama a “Rockefeller Republican in blackface” or a “neoliberal opportunist.” Dyson takes the outrageousness of these remarks as axiomatic. The real question should be “Well, is Obama those things?” The great political scientist Adolph Reed had pegged Obama as a neoliberal opportunist as early as 1996. And if there is a distinction between the economic and foreign policy of the Obama administration and that of a Rockefeller Republican, Dyson is welcome to explain it. But Dyson avoids actually proving that the charges are untrue, appealing to civility to allow him to escape having to respond to the point. A: I try to behave as Jesus did, to follow his teachings. B: How dare you compare yourself to Christ! I mean, come on. West thinks he’s Christ, West thinks he’s Martin Luther King. No, he obviously doesn’t; invoking their spirits and saying you’re trying to do what they would have done isn’t “comparing yourself” to them in this sense. It’s a childish and shameful distortion on Dyson’s part. West’s lack of understanding of the prophetic tradition is perhaps most evident in his criticism of Sharpton and Jackson. He berates them for their appetite for access to power, their desire for insider status. Even if we concede for the moment that this is true, it isn’t a failure of their prophecy but of West’s ability to distinguish between kinds of prophets. Dyson says there are two legitimate types of prophets: the peripheral and the central. “Peripheral” appears to refer to those who shun the powerful, and “central” are the prophets who fellate the powerful. Dyson insists that central prophets, with insider access to the governing elite, are very important. After all, did Martin Luther King not use his influence with Lyndon Johnson to help get the Civil Rights Act passed? Fourth and final charge: West’s criticisms of Obama must be personal, because West’s differences with Obama are not large enough to account for West’s invective. It is in this part where Michael Eric Dyson finally reveals himself to not only be a hypocrite, but a liar who has intentionally distorted Cornel West’s words in order to try to destroy him. Reagan’s central insight – that the liberal welfare state had grown complacent and overly bureaucratic, with Democratic policy makers more obsessed with slicing the economic pie than with growing the pie – contained a good deal of truth. Why is Dyson pretending that West and Obama were ever similar? Would Obama ever use the word “genocide” to describe right-wing policies? The section on conservatism in Race Matters is subtle and sensitive. It sympathizes with the problems black conservatives see, but has no time whatsoever for their solutions. West’s “middle ground” is not Obama’s “middle ground.” For moderates like Obama, middle ground means splitting the difference between right and left, trying to find a compromise that appeals to both. For West, middle ground does not mean “averaging out” both beliefs to find the center. No. Conservatives are completely wrong on social policies; West is insistent on this. It is only when talking about the moral and spiritual vacuum he sees in black America that West takes conservatism seriously. Dyson knows this; he knows West has always had socialist economics, and that in Race Matters he says “the market rationality of the private sector relegates poor people to subsistence levels of living” (compare with Obama in The Audacity of Hope: “in reaction to those who proclaim the market can cure all ills, we resist efforts to use market principles to tackle pressing problems.”) He is simply lying when he says Obama and West used to have the same politics. He scorns and scolds black people. And look, if you go to a black church on any Sunday, you’re going to hear the same thing, and much worse. The difference is, you’re also hear analysis of structural problems that inhibit black people, and the willingness to call a spade a spade and a racist a racist. There is no fundamental social change by being simply of individual and interpersonal actions. You have to have organizations and institutions that make a fundamental difference. Yet, there is no organizations and institutions that are worthwhile in terms of fighting for and dying for unless there is some individual integrity and character and virtue that is at work within various individuals in those institutions especially their leaders. There’s no denial of the systemic terrorization and degradation of white supremacy. But there is a call for individuals to assert themselves confidently against that system, and not submit to what he calls nihilism. Dyson believes that this means he doesn’t care about structural problems, writing that “in Race Matters, West argued that the spiritual malady of ‘nihilism’ is the greatest threat to black America—not racism, not class inequality, not material hardship or poverty or hyperincarceration.” But West was largely speaking to black people with that book; he wanted to offer a hopeful message about not surrendering to those structural forces, not to deny their existence. Nowhere does West ever deny their existence, in fact insufficient attention to inequality is the main reason he attacks Obama! Dyson knows that perfectly well, of course, but since he wants to destroy West rather than understand him, he’s content to mislead his audience. After Obama confronted West at the 2010 convention of the National Urban League, West said later that “I wanted to slap him on the side of his head.” The history of black bodies being unjustly assaulted makes such violent fantasies troubling, even more so in light of the epidemic of unarmed black folk dying at the hands of the police. I am not interested in the question of why Michael Eric Dyson wrote a long and cruel essay about Cornel West. Some said he was trying to show his centrist credentials to keep in with elite political circles. Some said it was just personal revenge for the vicious things West had said about Dyson. It doesn’t matter why; the why questions have dominated the discussion, and as long as they remain the focus, Dyson is on safe turf. What really needs to be addressed is the substance of Dyson’s attack, which is a hypocritical pack of lies and distortions. In writing it, Dyson revealed that everything West ever said about him, that he was a liar and an apologist for the powerful, was completely true. When West called him out, instead of reflecting on himself and his conflicting role as both a preacher and a defender of power, Dyson did everything in his ability to destroy the man who had told him the ugly truth. But that’s what happens to genuine prophets, after all. *Literally the only interesting thing about the fact that it’s in the New Republic is that, as Dyson mentions, this is actually the second time they’ve attempted a grand takedown of Cornel West; Leon Wieseltier wrote a long essay about why West was a frivolous nothing in the same magazine almost exactly twenty years ago. But really, who cares? **West’s section on conservatism is about black conservatives specifically.